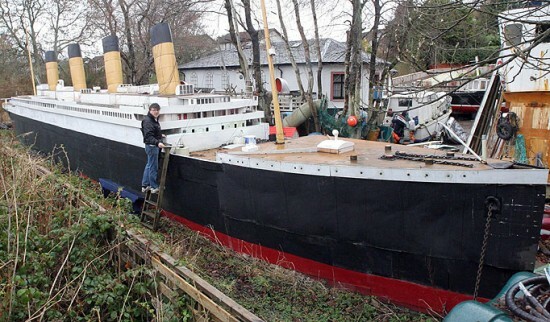 Scotish ship enthusiast Stan Fraser has spent eleven years of his life building a 100-foot model of the Titanic, in his own backyard. 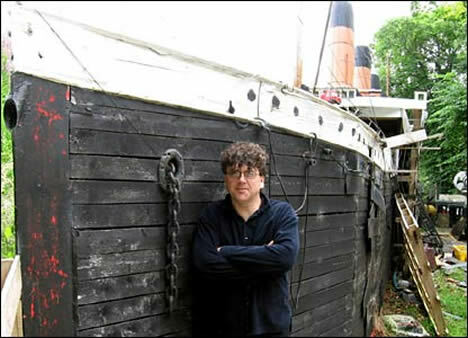 The 46-year-old former lighting engineer has always had a thing for the Titanic as well as maritime items in general, and his house in Inverness is filled with life jackets, models of other ships and copies of old newspaper articles reporting the Titanic’s tragic accident. His mother used to tell him lots of seafaring stories when he was a child, and he developed a strong passion for the sea that stuck with him throughout his life. He chose a nautical theme for his house and turned his cousin’s old rowing boat into a pirate ship for his kids. 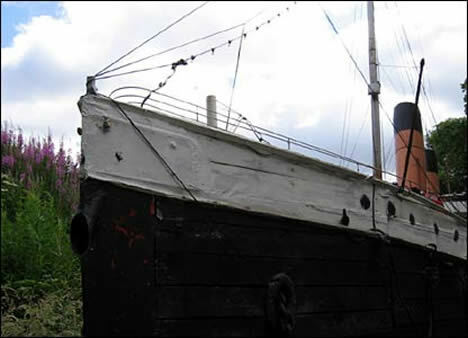 But it was the famous Titanic that fascinated Fraser the most, as he says it was the most beautiful ship ever made, even compared to modern sea liners. He started working on a small replica of the Titanic for fun, but he kept making it bigger until he decided on a 1:100 scale model of the ship. Stan used two caravans he had in the garden as the base of his masterpiece, then someone gave him an old shed to use as material, and another friend who was building a house, helped him out with wood and nails. This got him started, but he spent the next eleven years working on his incredibly detailed model. 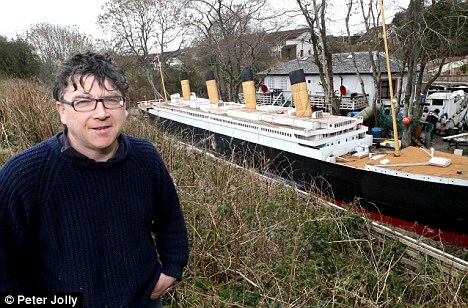 Now, the passionate builder wants to open a maritime museum and cafe with his Titanic model as the centerpiece. The new tourist attraction is scheduled for inauguration next April, for the 100th anniversary of the Titanic tragedy, and will feature other interesting models like a yacht, a galleon, a submarine and even a model of Noah’s Ark filled with stuffed animals for children to play with.